Finding the right venue for any event that you organize will undoubtedly be the biggest task run in to. After the number of attendees, budget and event type have been determined, venue considerations can begin. Typically, when booking a location, you will want to reserve it up to 6 months in advance to ensure availability. 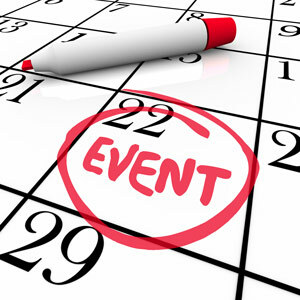 Self-planning an event can be very rewarding. Whether it’s a birthday party, a corporate event or class reunion, several key factors can help make the process easier. At this point, a predetermined budget should show a certain allotment for venue cost. Having flexibility when your event is teetering on short notice can help establish a date and keep costs lower. It is important to stick within reasonable amount of a budgeted venue cost to ensure entertainment, beverages and food are still available. Special décor and interior accommodations can have an immediate, and lasting, impact on the guests that attend. Having the event in a building that conveys the intent and purpose of the event can cut down on decorating costs and provide a naturally enjoyable environment. Fire and safety codes that buildings are bound to may limit the amount of people who are able to come into the building at one given time. For this reason, choosing a location that meets or exceeds an expected amount of attendees is important. If the venue you are interested in has a food and beverage minimum, it is important to gauge attendance to ensure you can meet that number. If you are currently looking for a venue for your event, Stokely Event Center can make sure your special day is unforgettable. Guests to your reception will love the free-to-play games and wide assortment of decorative signs. With the flexibility of catering in outside food and drinks, event menus can fit a variety of preferences. Our sound system, projector and screen are included for one great price to meet your audio/visual needs. If you are interested in reserving Stokely Event Center, please call us at 918-600-4448 or complete our online request form. We can’t wait to be part of your special day!